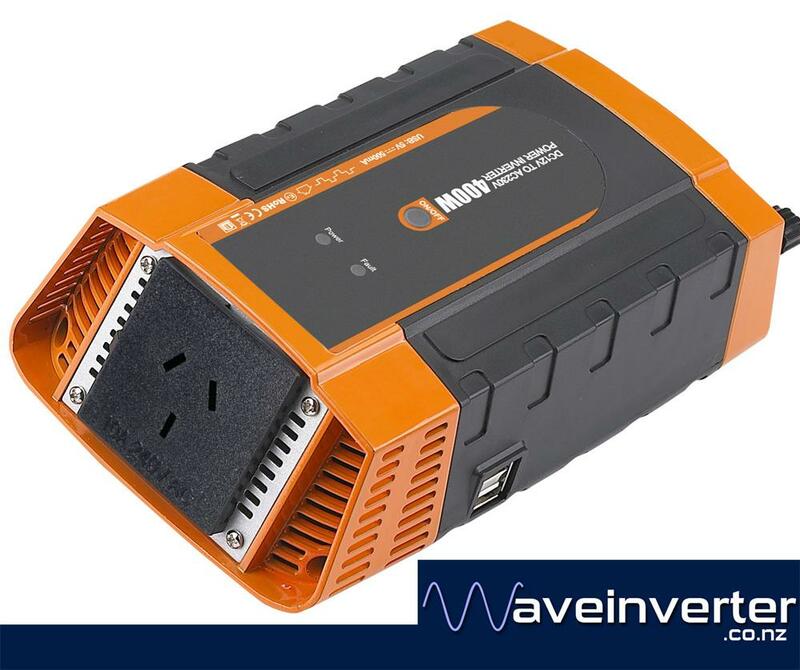 This is the 400w modified sinewave inverter designed specifically for in-car use by CARSPA. It comes with three sets of cables. 1) It has a cigarette lighter socket power cable. 2 Alligator Clamps cable. 3) eye terminal cables. Push button off and on switch.